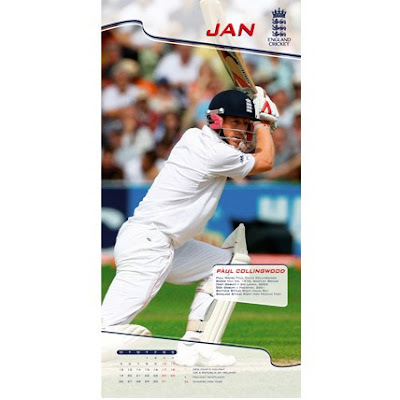 2008 has flown by, providing cricket with too much to mention. Nightwatchgirl feels it necessary to do a run-down of the good, the bad and the ugly. South Africa beating everyone in Test cricket. Middlesex beating everyone in the Twenty20. India beating everyone playing in India. England beating South Africa in the ODI series 4-0. Bangladesh doing better than expected. 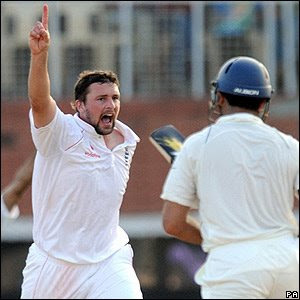 Steve Harmison remembering he needed to play for England again. Crazy Krejza being picked to play for Australia. The new TV gadget of hot-spot. Genius. The Stanford All Stars who are now very rich. NWG meeting Michael Clarke and thinking he needs a good meal. England to be rubbish because 2008 means nothing compared with 2009. Sussex players who will undoubtedly be picked for England. The Australian cricket fan who bought a ticket for the fifth day at the MCG, December '08. England - in all forms of the game. Michael Vaughan standing down (maybe that should be in the good year section). Owais Shah always being over-looked. Simon Jones being constantly injured. Crazy Krejza being hailed as the new spinner for Australia and then being dropped. The English summer. We need a good one for 2009. Players who play for any other county except Sussex and want to play for England. 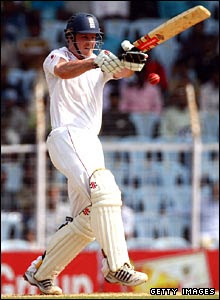 Matthew Hayden forgetting how to bat. Ricky Ponting being captain of Australia when they start to lose. Kevin Pietersen the tail end of the year when England couldn't even buy a win (illegally of course). Ryan Sidebottom being moody, mean and not very good. Daniel Flynn having to have mouth surgery when two teeth were unceremoniously removed by a cricket ball in England. The IPL making cricketers behave like circus monkeys. Stanford - ditto but for England. Graeme Swann for the worst over-throw in history against New Zealand. When it looked impossible, when Australia should have wrapped the South African tail up in an hour, Duminy (166) played an absolute peach of an innings. For his attempted catch was more than just providing some humour for the neutral observer. It was down right comical (and probably would resemble NWG trying to catch a cricket ball). He stood there, trying to shield his eyes from the sun with one hand, then the other, then moved about a bit to see if that would help, and then the ball dropped behind him while he was still looking for it in the air. Poor Hussey. He's not having the greatest series. But surely this clip on youtube will ensure he will never be forgotten and kids everywhere will learn how not to catch a ball. Just as Nightwatchgirl was putting the turkey back in the fridge and insisting on another glass of wine (always a mistake), she realised that the cricket world had not abandoned her. The cricket world had provided another Test match to watch and she was grateful. The second Test between Australia and South Africa has not disappointed. NWG watched Hayden get out again (is this the end for him? ), and then was forced to stop imagining what a Christmas in Australia was like (oh to be warm again) and go to bed. But that didn't stop Ponting or Katich knocking around the ball, but it did stop Hussey (another duck, not the greatest Christmas present ever) and Australia will start tomorrow 280-6, with Michael Clarke (36) and Brett Lee trying to get a few more precious runs. While England stuff themselves full of everything available, Australia and South Africa are living up to the hype (Aussies may not agree with that last statement). It's a close contest; it's aggressive; and best of all England can't lose (for once). In fact the most thrilling moment came right at the last over when Dhoni decided he fancied a little bowl. 1. They didn't lose. Definite improvement. 2. In the second innings, Bell managed not to get out (faced a whopping 70 balls). 3. Yuvraj only scored 86 (call that a score?). 4. England are due home for Christmas, to eat puddings, turkeys and mince pies. Perfect preparation for 2009. So all in all, what a great Test match. Nightwatchgirl hopes that Father Christmas brings you everything on your list. You deserve it. After yesterday's brave efforts between KP and Flintoff in the batting department, England fizzled out hopelessly today. The last five batsmen made a measly 19 runs between them (NWM Jimmy - not out, important distinction), to leave England dangling at 302. And then India were batting again. Scoring runs again. Not getting out again. Leaving them on 134-4 (Yuvraj 39, Gambhir 44) at the end of play. If this game peters out in to a draw, England will have done well. But NWG doesn't hold out much hope. She has become a fervent pessimist. The only thing that could save her now, is the return of Hoggard, and although she has asked Santa very kindly, she feels that Peter Moores will over-rule her. As predicted by Nightwatchgirl, Gambhir was thinking about making his highest score (almost got there, it was his second highest. His top score is against Australia - 206, NWG felt it necessary to mention), and made a more than decent 179. And then there was Dravid, who made 136. And they made England bowl 676 balls at just them. 1. Tendulkar, Laxman and Yuvraj scored 67 runs combined. Which is excellent. 2. Swann (3-122) and Flintoff (3-54) bowled well-ish. 1. England will never score more than 400, let alone 453. 2. Yuvraj was dropped when on 8 or 11, NWG can't remember now, but it was bad. 3. England must be tired. NWG knows she is. 5. NWG has had enough. It is doubtful she will watch the rest of the day's play. Only trouble is, the India v England series is becoming rather one-sided. KP lost the toss (again). India batted like robots programmed by WG Grace. The only difference being that it wasn't Sehwag smacking the England bowlers around for fun. It was Gambhir and the almost-sacked Dravid (bet they're relieved they didn't get rid of him in the end). That seems to be the trouble with the India batting line-up. Get rid of one, and another just comes along to replace him. So Sehwag was out for a duck. Big whoop. Gambhir and Dravid clocked up 179 runs. And then there's Tendulker, Laxman, Yuvraj, Dhoni and Harbhajan. Will it never end? This leaves England nowhere. Their bowling was not of the highest order. The batting is certainly not of the highest order. Nightwatchgirl cannot get up at 4am just to watch England being smacked around. It's like watching your neighbour's husband hitting his wife: brutal, illegal and morally reprehensible. England. Call the police immediately. It's great day when Nightwatchgirl can feel that she can be moderately neutral. She has no vested interest in Australia or South Africa winning. Both beat England pretty regularly and both seek to beat one another. This makes her feel like she can be truly honest. Day two has been another cracker. Mitchell Johnson, with figures of 7-42, ravaged his way through South Africa, leaving them 243-8. A lot of runs behind Australia. Johnson, ever the eloquent cricketer, summed up how his performance went today: "it all just seemed to happen." Is that modesty or does he have a bit of the James Anderson about him? Either way, South Africa must recover from their 5-7 debacle late in the last session and take to the field with some purpose, and Australia must be looking to consolidate their lead with piling on the runs tonight. England must take heed from this series. They need to (somehow) find Australia's weak points and learn how to exploit them, whilst also concentrating on the start of the second Test tomorrow. Is KP capable of thinking about more than one thing at once? What did Nightwatchgirl say? Never declare. In fact, avoid playing any good teams in the future. England are clearly not good enough. India showed today how a side, with their backs against the wall, can turn a game around and win. A concept England are not familiar with. But England needn't lose complete heart; India are the best Test team in the world right now. No more Australia, no more South Africa. England need to re-group, re-focus and get that ridiculous notion out of their minds that they really stood any chance today of beating a side filled to the brim with the best batsmen this side of the milky way. Declarations are a risky business. Declarations suggest that you have enough runs to last you till next year, that you have no fear that the other team will even get near it. Declarations are for Australians and South Africans, not the English. 1. England's bowlers hate pressure (a worrying fact, NWG knows, but still true). 2. India's batsmen are unbelievable (bloody Sehwag, 83 off 68 - does he not know this is Test cricket?). 3. Monty Panesar was never likely to score a hundred, but still, he could have added maybe one or two runs to the total. 4. A team can never have too many runs when playing India. Repeat five hundred times. Now England fans are left with getting up (again) at 4am and watching some of the greatest batsmen of our time (basically the whole top order of India) whittle down the total and unless something great happens, something completely and utterly fantastic, the game will be a draw or India will win. England need another Edgbaston performance from Flintoff or Harmison's golden Test against the West Indies way back when. Swann needs to channel Crazy Krejza. And all India need to do is to not get out. It will be a tense day, just how Nightwatchgirl likes it. England will tour India for their brief two match Test series. This is great news for England, England fans, and most importantly, India. Britney Spears is even getting in on the action by donating her big, burly bodyguards. There is Christmas spirit after all. The only downside is that England will most definitely lose. And on top of that, will lose badly. But this is not the point about these games. These games now represent defiance, stiff upper lip syndrome and comradery. So, when Thursday comes and England are out for 100 and India have posted 1693-3, fans can remind themselves that cricket is more than just a game and it's about more than just winning (or in England's case losing). Nightwatchgirl has one more thing to add: cricket rules all. Is Steve Harmison the next cricketer to sign up for Strictly Come Dancing? By the looks of this picture, he has the flexibility for it. And maybe a bit of Saturday Night Fever. South Africa v Australia. In One Word: Tasty. The up and coming series between Australia and South Africa is hotting up. Australia, back in form after losing in India, demolished New Zealand and are now facing their toughest task yet. a) they are pretty good anyway, NWG should know, she did witness it over the summer. b) they're just as arrogant as Australia, which is extremely useful in many ways. c) they have every right to be arrogant: they have in their possession very useful batsmen and some excellent fast bowlers. And now there is their secret weapon: fill the coaching staff with as many 'consultants' as possible who have been part of teams who have beaten Australia. Duncan Fletcher: enigmatic coach of England. This series is a juicy one. Aside from South Africa talking themselves up (not a surprise: what else is there to do, announce that you'll lose? ), Australia are revealing some rather large dents in their armour. But, playing in Australia is like Superman being forced to fly with kryptonite. It's a very tough ask. NWG will be up in the early hours watching this one. Correction: First Test is 17 December. With trumpets tooting, with men in fancy clothes with tights on, with the Queen waiting anxiously by the television, with the whole of the nation on tenterhooks: the nominees for the sports personality of the year were announced. NWG, waiting patiently, as each name was read out (in no particular order), was shocked, when, at the end of the announcement she realised that there were no cricketers in the list. And then she remembered that 2008 has not been a cricket highlight (but wait, how can that be?). Rebecca Addlington: can swim a bit and reasonably fast, but who can't? Ben Ainslie: can point a boat in the right direction. Joe Calzaghe: can hit people and get paid for it. Nicole Cooke: cycles. NWG learnt how to do that when she was 5, big whoop. Lewis Hamilton: won some races driving a car. Bet he couldn't navigate Hyde Park Corner. Chris Hoy: another cyclist, yawn. Andy Murray: can hit a ball with a racquet. Oh yeah, and is moody and petulant - added bonus. Christine Ohuruogo: can stand on two legs and run. Brilliant. Rebecca Romero: again, cycling. Going round and round and round. Bradley Wiggins: another cyclist? zzzzz. So, no cricketers worthy of some recognition. Is this a surprise? Nightwatchgirl thinks not. No stand out players, no heroic wins, no big games. Just same old, same old. England win some, they lose some and if they're really lucky, they draw some. NWG will be doing a look back over the cricketing year towards the end of the month. She needs all this time to think of something interesting to say about a year as exciting as a turnip. Should Nightwatchgirl focus on the positives and ignore the fact that England were thrashed by 158 runs? 3. Bopara's batting was useful and confident. 4. The sky was very blue. 5. Nightwatchgirl can't think of another thing. 1.England failed to bowl India out. 2. England's batting was rubbish (exceptions: Pietersen and Bopara). 3. The whole experience is likely to be repeated on Monday, for ODI no.2. 4. India are looking worryingly brilliant, especially Yuvraj. 5. England were bowled out in 37 overs. At least finish at 50 lads. Come on. 6. Nightwatchgirl has been up a very long time, and it's only 10.30am. Nightwatchgirl is very pleased to present her top 10 Ashes heroes on Line and Length. The news that a yellow card system will be introduced next season to those guilty of excessive sledging or appealing has upset Nightwatchgirl. There's nothing wrong with a bit of banter. No one gets hurt. And it's also rather funny when picked up by the stump microphone. Who can forget Flintoff and Tino Best? (If you have, search youtube for it - it is brilliant). Excessive appealing also has its perks. 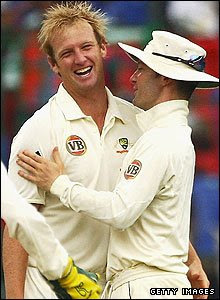 Monty and Warne (ok, so he is retired, but that's not the point) are and were both guilty of yelling a bit too often, but what's wrong with that? Cricket runs the risk of cutting out parts of the game that provide endless entertainment. First it was no instruments taken in to the ground. Then the end of the beer glasses being piled up endlessly into long snakes. And now this. Cricket is not a health and safety sport. There are no human right infringements on the field. And if things continue on at this pace there will be nothing left that is fun. To the ICC and ECB: stop tweaking the rules. Leave things be. Let the fans and players enjoy themselves and cricket will remain cricket. What's next? A player hurting himself and calling injury lawyers for compensation? As if the beating yesterday wasn't enough for the England fan to take, it now has come to light that England may be a couple of bowlers light for the first ODI against India. Ryan Sidebottom has an Achilles problem and Stuart Broad has a bad knee. Ryan is definitely out (such a shame, NWG is truly upset - sob), but Broad faces a fitness test tomorrow. If he fails, England are in serious trouble. This brings Nightwatchgirl to her most important sentence of her entire blogging career: The return of Matthew Hoggard. OK, so he's not technically in the England team at the moment, never mind the ODI squad, but (and it's a big but) he could be their saviour. 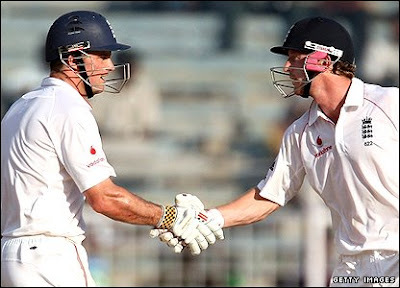 So, to Peter Moores, to Kevin Pietersen: pick Hoggard and save the series. It's a risk, but he won't let you down. Oh dear. Pietersen should be hanging his head in shame (and a duck to boot). The Mumbai President's XI beat England, sorry Nightwatchgirl means thrashed, by 124 runs. Only Patel, Swann and Anderson got in to double figures. That's about as good as it gets. The bowlers failed (and some called in sick). 3. The batsmen aren't used to batting. 4. It's all an elaborate hoax to make the India side think the ODI series will be a walk in the park. India have won the Test series against Australia 2-0 today. The final Test at Nagpur proved too much for the Aussies, who lost by 172 runs. England can take great hope from this series. Prick Australia and they will bleed. Even Ricky Ponting concedes that Australia did not play perfect cricket for once. But England must also take heed. India are a nifty Test side and an even better One Day team. Packed full of batsmen in form and bowlers thirsty for wickets, KP and his team must be feeling a bit apprehensive. It will not be easy work for the up and coming series, starting next week, for England. Some better news for the Australians. Andrew Symonds has been deemed to have completed "the prescribed welfare process" and is allowed back into the team to play a twenty20 game. No doubt, his fishing obsession is at an end and he remembers why he started playing cricket in the first place. Nightwatchgirl hopes so, anyway. Any more disciplinary mistakes and Symonds could face the possibility of not returning to England next year. And Australia could probably do with an injection of plaice, whoops, NWG means pace. The ECB have released the final England team line-up ready for Saturday. And not without a few surprises. Gone is Ryan 'I'm Too Good For The Team' Sidebottom (how's your bank balance now, curly?) and James Anderson, replaced by Steve Harmison and Graeme Swann. And magically it seems everyone has recovered sufficiently from carrot chunksitis. England must perfect their Twenty20 strategies for the up and coming World Cup next year and this seems a good opportunity to have a go. So, it may be without spirit, it may be without (healthy or unhealthy) guts and glory, but an England win is good for the team, for the fans and for 2009. The Line Up for Nightwatchgirl's Super Series will be announced over the weekend. On a whim, Nightwatchgirl bought a lottery ticket. She watched the draw and looked at her numbers. All of a sudden it dawned on her. She had won. And not just £10. She had won the jackpot. £20,000,000. After the shock and allowing her time for the news to sink in, an idea came in to her head. What could be the best way to spend her money? What would make Nightwatchgirl extremely happy? And then it hit her. She was going to organise the Nightwatchgirl Super Series in Bognor Regis. After sending a very polite letter to the ECB suggesting this very thing, Giles Clarke wrote back. The Series is on. England v NWG Super Stars. And it starts next week. NWG knew happiness could be bought. It just took her a very long time to realise. Kevin Pietersen has officially lost his mind. After weeks of 3 line whipping the England camp in to shape over what great experience the Stanford Super Series will be and how it's all about the game and not the money, KP has admitted that "the longer this week goes on the more I want to get it over with." Only days after harping on and on to all who would listen about the privilege of playing for England, having the three lions on your shirt, KP now can't wait to get home. What has changed? Could it be the atmosphere the games are played in? Could it be the sight of England WAGS getting cosy with Stanford? Could it possibly be the sight of cricket being sold to the highest bidder is finally chaffing a little? Either way, Nightwatchgirl is left confused. Should she be enjoying the cricket in Antigua or boycotting it? It feels like such a long time since England were playing regular games that it is a welcome relief to be able to watch her team at all. You would never hear KP talk about other more 'worthy' series this way. There will be no mention of getting the Ashes out the way (unless England repeat the last encounter), so why this? Nightwatchgirl has come to the conclusion that even the players feel a little bit dirty at being paid to perform like circus monkeys. The series has no worth except money. It's a dark day for cricket when the England captain can't be bothered, even if it is for a $1,000,000. The second England Twenty20 match went with a bang, a yelp and pint of milk of magnesia. There was no lack of trying from the England batting line-up; no one can argue that they don't want the joy and pride only achieved after a win in the Stanford series (wait, Nightwatchgirl didn't mean joy and pride, she meant a growing bank balance, a new car, an extension and a small charity donation - not necessarily in that order). The game was not the most exciting ever witnessed by NWG, although she appreciated how close it was towards the end. Free hits that should have been launched in to the lucky crowd were missed, KP messed around too much deciding which way he wanted to hit the ball, whilst also checking whether his wife was being accosted by the host and Flintoff failed to live up to his batting potential (and could possibly be bloody injured. Again). And, along with the stomach bug that has ripped through the England camp (NWG wonders who will be feeling ill on Saturday. Her guess is that all symptoms magically disappear), England still looked pretty scrappy in the field. But whichever way Nightwatchgirl looks at this series, it still feels like England are selling their soul to the cricket devil. Perhaps Saturday will be more exciting. Perhaps Saturday will prove England are a side that want to win, not because of the money but because of pride and glory. And hopefully there will be a tie at the end of the forty overs, because Nightwatchgirl likes the sound of this extra magical over, where it becomes a mini match; anyone could win. How would you like that kind of pressure? Oh the excitement. Oh the drama. Who would take the glory? Who would rise to the occasion? Who would make their team proud? Well, no one in fact. A pretty low-key game: not much entertainment (apart from Ryan Sidebottoms's new hair - just wrong in so many ways), not a lot of huge hitting and terrible, awful, faintly embarrassing catching (or not). Neither England nor Middlesex really looked bothered to be part of this Stanford series. And what did the great England captain have to say about the match? Some wise words indeed: "I am as concerned about the lights as I am about the wicket." Oh help. The England captain is now moaning about lights. Pietersen is more worked up about Neil Carter's brief move to Middlesex from Warwickshire for this series, branding it a "disgrace," than he is about England putting in an exciting performance. England need a reality check. Focus on the game, not the people in the other team. Focus on catching the bloody ball, not what's lighting it, and focus on making England fans glad they paid all that money to travel out to the West Indies or pay their Sky subscription. Kevin Pietersen, England captain and now philanthropist (apparently he will be donating part of his prize winnings to charity), has come out today defending the $1,000,000 prize fund that will accompany a win in the Stanford series. Whilst the rest of the world are contemplating a dry spell when it comes to finances, the England camp could potentially win more money than many earn in five years, let alone one. But Nightwatchgirl is not blaming the England team. But that hasn't stopped KP. For some unknown reason, Pietersen feels he needs to assert that he doesn't want "anyone [in the England camp] carrying on like a clown." What is this statement in relation to? Is a big, curly, red wig and make-up part of the appearance fee? Will Harmison and Broad be required to bowl on a unicycle? Will Collingwood have water squirted in his eye when he's trying to take a catch? If this is the case, Nightwatchgirl thinks the prize should be doubled and maybe accompanied by the West Indian players having to field while riding elephants and possibly Prior jumping on a trampoline whilst trying to keep wicket. It has come to Nightwatchgirl's attention that the enormously popular Andrew Flintoff and Kevin Pietersen are now without bat sponsorship. Nightwatchgirl would like to officially announce that she, a humble blogger, will be competing for the right to have NWG plastered all over their bats. Given the current credit crunch situation, she can only offer baked goods in return for this sponsorship. On the menu: blueberry muffins, chocolate cake and her speciality: Portuguese tarts. These are all cleverly mixed with Red Bull to give the players maximum energy (and wings, obviously). So far, her phone calls have not been returned by Flintoff and Pietersen's agents, but she expects to hear from them soon. NWG will keep you posted. The ICC have just announced that the England tour of the West Indies will use the umpire decision review system, along with the West Indies v New Zealand, India v Pakistan and South Africa v Australia tours next near. Nightwatchgirl is in two minds about this. Yes, it will end contentious LBW decisions and players may well feel that they have slightly more control over their batting destiny. But (and it's a big but), will the teams feel comfortable openly undermining an umpire? Will that effect future decisions? What happens if a team uses up their three attempts early on and leave a batsman needing the winning runs and feeling like he was not out? Will the captain have more of a right to use it than a tailender? Who should get the final decision? Will the umpiring become more timid knowing that their decision could be scrutinised so quickly? When the ECB experimented with the system in county cricket, players hardly used it at all. Will England have the courage (well, South Africa and Australia will) to use it? Will it be used in the Ashes? So many questions and so few answers. The only way to find out is obviously to use it, but it may well be a step too far, after all, umpires are paid fairly well and that is their whole point of existence. The ICC are denying their destiny. Nightwatchgirl is not yet entirely convinced. The First Test between India and Australia ended in a draw. A slight anti-climax given the rivalry and history of these Test nations. But there were some interesting points and some insightful comments by both sides after the end of the match. Ricky Ponting, ever the modest captain, declared that Australia "dominated this Test match." Oh Ricky. When will you ever learn? To dominate is to win and to win means bowling out the side before they reach your total. Does Nightwatchgirl have to explain everything (and especially to a captain, surely he should know the rules by now)? What was evident was Australia, on a fifth day pitch, couldn't get their "spinner," Cameron White to take the advantage as they "didn't create enough opportunities," Ricky - it's the opportunities that win you a game. India may have played out for a draw, which NWG considers to be fair enough, but Australia failed to win. But it has been Zaheer Khan that has let his tongue run away with him (though he did win man of the match, his excitement, like a little puppy, is understandable) by declaring that Australia "can't take our [India] twenty wickets. They couldn't get me and Bhaji out, what else do you want?" Oh Zaheer. Never, ever anger the beast. Waving the red flag in front of Australia is always a bad idea. Keep quiet and mysterious. Stare at them with scary eyes. Bowl them round their legs, but don't intentionally wander in to the bullfighter's ring with a limp and a cold against Australia. You're just asking for trouble. They're aggressive enough as it is, without any encouragement. The Second Test starts on Friday in Mohali and NWG can guarantee that there will be many rude words spoken, many bouncers aimed for the head and plenty of eyeballs at dawn. Will Australia's bowling attack let rip or will India's previously so reliable top order batsmen collect the runs to push Australia out of the game? The final round in the colossal firefight between cricket and baseball ends today with a look at the protection required to keep players from injuring themselves. As both sports involve hard balls being thrown at the batsman as fast as possible, you would think that they would have developed a similar style. But no. What attracted Nightwatchgirl's attention initially was the hat the baseball players wear when batting. Depending upon whether they are left or right handed, the side of the head facing the pitcher (correct term?) will cover their ear. The other side will not. This is annoying. Why not just have both sides covering both ears? Is it frowned upon? Does it use up too much plastic (when has America really cared about unnecessary wastage when it comes to, well, anything?)? The cricket helmet is the bees knees of ball-in-the-face protection. With a hefty grill covering the front of the face, you could naturally assume that it would protect the head area adequately. Alas, that would be incorrect. For as much as it looks like it could offer some relief from being smashed in the skull by a hard ball, it has abandoned many a player in their second of need. Teeth have been knocked out (New Zealander, Daniel Flynn, two to be exact), scars have been made (Aussie, Ricky Ponting) and wickets have been dismantled (Kevin Pietersen - it was pretty comical). Then there comes the art of padding in cricket. Almost every area conceivable has its own version of the pad. Legs, arms, ribs, hands, teeth and baby-making equipment each have their own pad design. This also does not offer complete protection from broken bones or nasty bruises. In baseball, it seems only one player gets the padding and that is for the catcher (is this the correct term?). He gets all the padding in the world, covering him basically from head to toe. His face, his body and his legs are all deeply padded or grilled (this is definitely necessary). We must now turn to gloves. Only one member of a cricket team is allowed to wear gloves and this is the wicketkeeper. 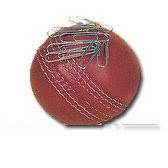 These have a sort of webbing that might be handy for swimming as well as catching the balls left by the batsmen (or if the batsman's unlucky and he does hit the ball, but didn't mean to). In baseball, all the fielders get to wear gloves. Only on one hand. And they are shaped very strangely. This seems unfair because it surely provides them with a greater chance of being able to catch the ball, because they look more like a giant scooping device. And there ends the great debate between cricket and baseball. Both sports feature runs, innings, balls and bats but they couldn't be more different. Each have their plus points (food in seats really does appeal) and each have their own negative points (baseball: it's not cricket, cricket: no food in seats - Nightwatchgirl is becoming slightly obsessed). Nightwatchgirl will stick to cricket for the time being. But it's been an interesting ride along the way and Americans aren't as crazy as previously thought; baseball has potential. So, it obviously must come down to how many hits on google for each sport. When cricket is typed in to google it gets 84.2 million hits. Baseball gets 237. Million. Bum. Nightwatchgirl couldn't help but enquire as she was gliding round New York, in between all the shopping in the warm sunshine, as to why it is that baseball is so popular in the States and cricket is not. OK, so she is totally out of her comfort zone when discussing the American game, perhaps even to go as far as she has no real idea of why or how anyone could find it remotely interesting, but there are a lot (a lot) of Americans who are as potty about baseball as the rest of the world is about cricket. So there must be something about it. But what? The answer is yes (wink wink), no and no. Nightwatchgirl is aware that there are some Americans who occasionally glance at this blog, so she beseeches them, no, pleads with them, to explain what it is about baseball that is better than cricket. And why it is that any mention of cricket to an American, their eyes glaze over, they yawn incessantly and start to try and do an English accent (badly). As Nightwatchgirl understands it, cricket is the fastest growing sport in the US. Will it ever achieve baseball standards? Definitely no. But with the better weather over there, their love of food being sold directly in their seats (seriously, cricket organisers - this is a great idea), the game (or at least twenty20) could catch on as an underground, secret, cult-like status pastime. The idea of being encouraged to drink for the entire length of the game must be an incentive to get the American interested (it does us alright). And then, who knows....?